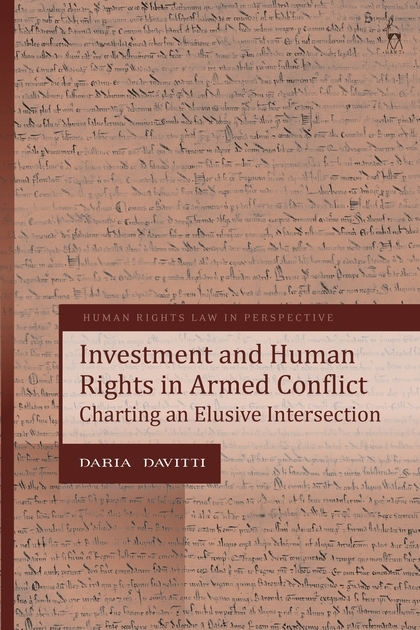 This book analyses the way in which international human rights law (IHRL) and international investment law (IIL) are deployed – or fail to be deployed – in conflict countries within the context of natural resources extraction. It specifically analyses the way in which IIL protections impact on the parallel protection of economic, social and cultural rights (ESC rights) in the host state, especially the right to water. Arguing that current responses have been unsatisfactory, it considers the emergence of the 'Protect, Respect and Remedy' framework and the Guiding Principles for Business and Human Rights (jointly the Framework) as a possible analytical instrument. In so doing, it proposes a different approach to the way in which the Framework is generally interpreted, and then investigates the possible applicability of this 'recalibrated' Framework to the study of the IHRL-IIL interplay in a host country in a protracted armed conflict: Afghanistan. Through the emblematic example of Afghanistan, the book presents a practical dimension to its legal analysis. It uniquely portrays the elusive intersection between these two bodies of international law within a host country where the armed conflict continues to rage and a full economic restructuring is taking place away from the public eye, not least through the deployment of IIL and the inaction – or merely partial consideration – of IHRL. 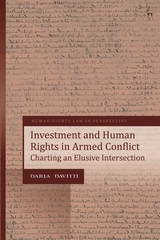 The book will be of interest to academics, policy-makers, and practitioners of international organisations involved in IHRL, IIL and/or deployed in contexts of armed conflict. Daria Davitti is a Research Fellow at Lund University in Sweden and an Assistant Professor at the University of Nottingham, UK.